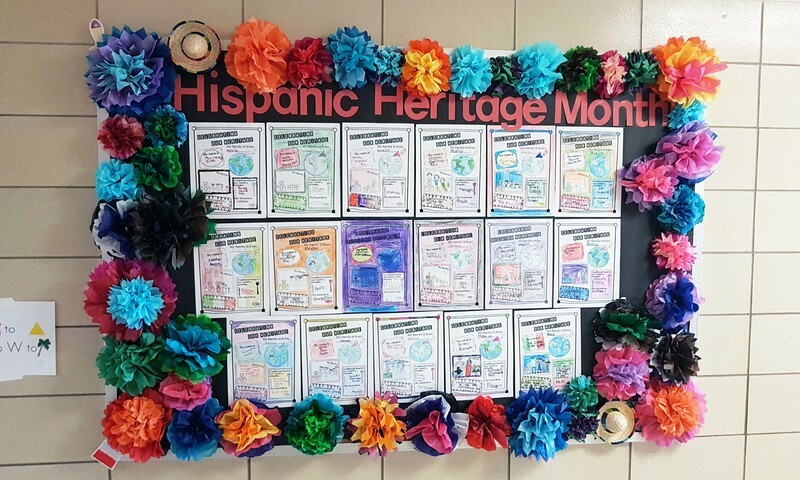 Kindergarten, first and second grade English Language Learners celebrated Hispanic Heritage Month and shared a portion of their heritage with other students and staff at Holyoke Elementary School. Hispanic Heritage Month is celebrated Sept. 15th - Oct. 15th. 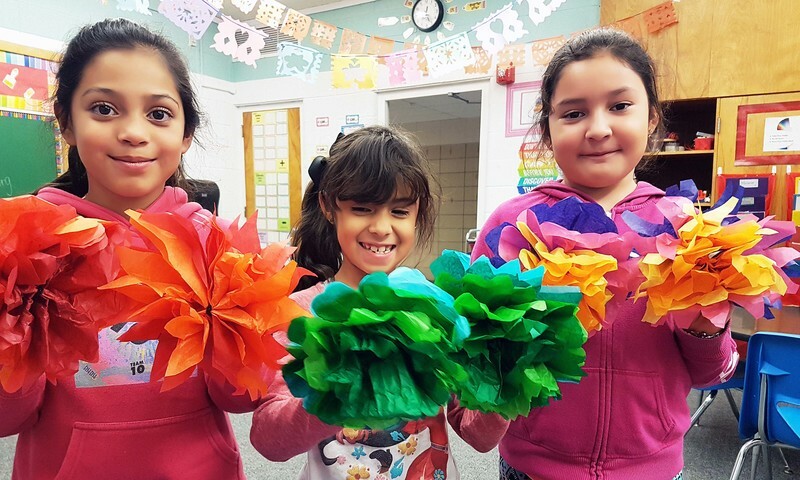 Students learned more about their heritage and created popular decorations that are used when celebrating traditional Hispanic events. 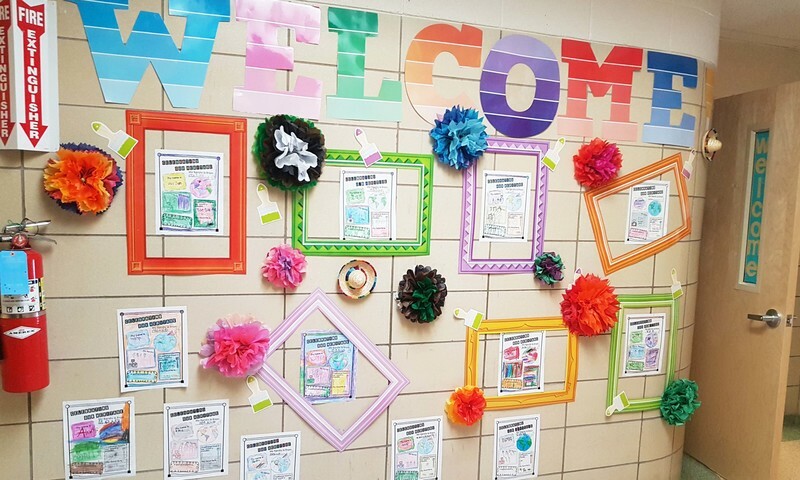 Papel Picado decorations and tissue paper flowers were a big hit as hallway decorations. Students spoke about different facets of their cultures and were able to celebrate special characteristics from their own backgrounds. Second graders used their Chromebooks to write emails to staff members telling them about their heritage and the things they are doing in ESL classes with Mrs. Bencomo and Mrs. Schafer This activity allowed many students to learn more about their own culture and share it with others. The second graders gave permission to share their emails so we can all learn more about how they celebrated their heritage. There are more great pictures to see below the student letters too! I want to tell you about Hispanic Heritage Month. In September and October I celebrate my culture . I’m Mexican and American. 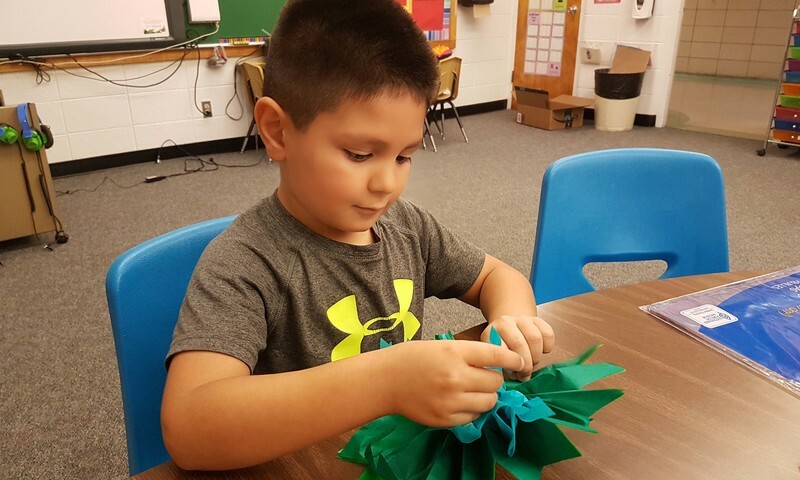 In Esl I made papel picado and made paper flowers. 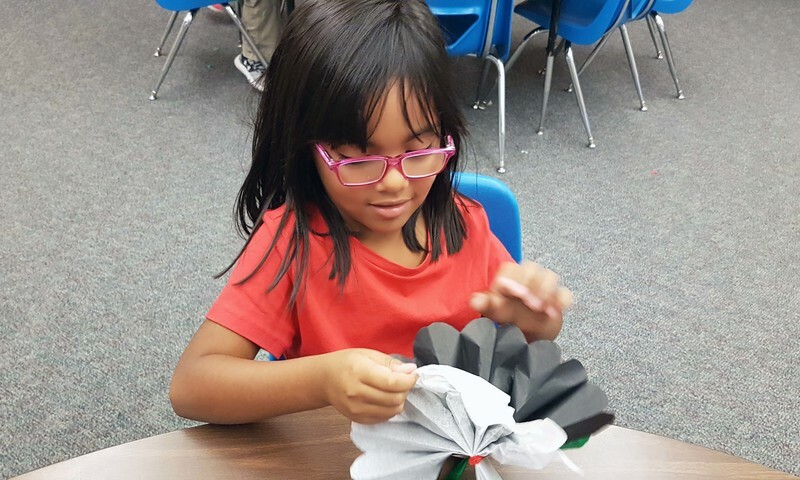 Papel picado is one paper whit I cut and paper flowers is one paper to made flowers. It was fun! I learned about Hispanic Heritage Month . I celebrate my culcher and I am Mexican and American. We made paper flowers. Hispanic Heritage Month is special to celebrate. I had a lots of fun. We have learned about Hispanic Heritage Month and I am Mexican-American. I want to tell you about my Hispanic heritage . I learned hawe to make flawres. I also made papele picado. And it is fun to make. 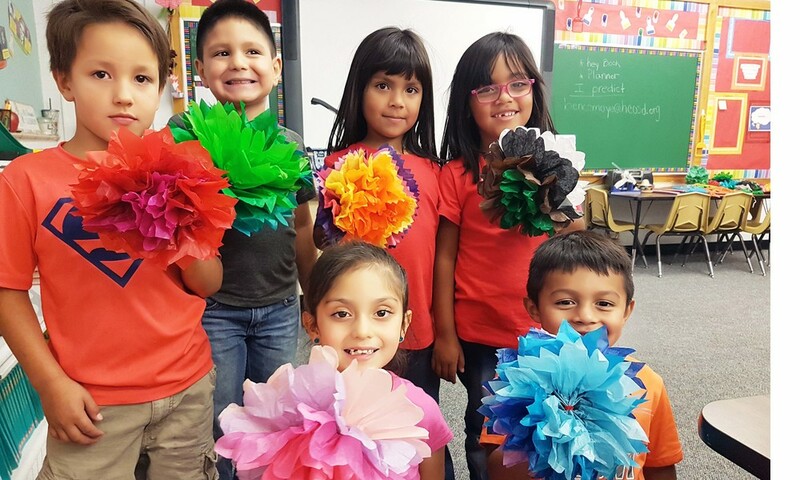 We made flowers in ESL. It is popular. Papel picado is paper. It is cind of like a snowflac. I had a lot of fun. I want to tell you about Hispanic Heritage Month. In ESL I made papel picado with paper we cut the paper. I also learned about my culture and it was fun. I’m also Mexican . I also celebrate my culture. I celebrated September and October. I did one more thing. I made paper flowers. I want to tell you about Hispanic Heritage month. I did it in ESL. I have a lot of fun. I learned to make paper flowers we did it with different papers. We are celebrate my culture. We also made papel picado. We had to cut a lot. I also learned about my culture. It was in Sept and Oct. I want to tell you about Hispanic Heritage Month. Hispanic Heritage Month is a month in September and October. I celebrate my culture. I’m Mexican because I was born in Mexico. I learned how to make papel picado in ESL. I grabbed paper we cut shapes on the paper. We made paper flowers. I learned about my culture. It was fun!